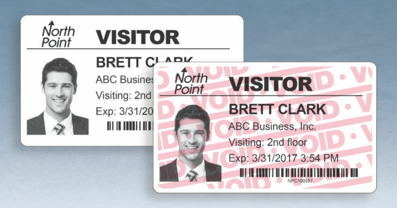 Visitor Pass Solutions, a division of Data Management, Inc., has developed a new brand for its industry-leading temporary badge product line. “One Day(tm) Time-Expiring Visitor Badges” bolster security protocols and simplify visitor management at schools, healthcare facilities, corporate campuses, and more. One Day Time-Expiring Visitor Badges are “valid today and void tomorrow,” changing color overnight to display a “VOID” that prevents reuse the next day. As a result, the badges do not need to be collected at the end of a visit, saving staff time and improving visitor experience. The “One Day” name reflects the existing product line’s patented time-expiring technology.